Yesterday we reported the news that Red Dead Redemption 2 has already become a massive success for Rockstar Games, already outselling the original game within a matter of eight days’ time. We’re talking 17 million copies. And there’s more where that came from with Red Dead Online’s beta launching sometime this month. But there’s still a question that lingers in the air -- can we have a PC version of Red Dead? Well, during an earnings call with investors this week, Take-Two’s Strauss Zelnick was asked about it. And while he didn’t confirm anything about the game coming to PC, he also didn’t deny it either -- which means there’s a distinct possibility of its arrival. The interesting fact here is that it wasn’t a flat-out denial with focus on Xbox One and PlayStation 4. Zelnick didn’t say it was coming, but apparently the company may be open to introducing it to a new platform. It would certainly be a wise move for the brand. Look at what happened with Grand Theft Auto V when it made its debut on Steam shortly after it came out for PlayStation 4 and Xbox One. Yep, sales shot through the roof and contributed to that game’s overall success, with over 100 million copies officially sold. If Red Dead Redemption 2 came out for it, no doubt it would be of interest to players. That said, you probably shouldn’t expect an announcement anytime soon. 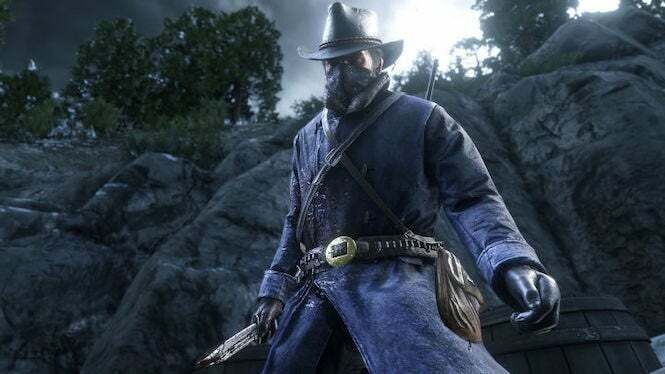 Rockstar is focusing on improving the console versions at the moment, as well as preparing Red Dead Online so that it’s everything users are hoping it will be. And who knows, it may be adding continuous updates to the online service, just as it’s been doing for the past few years with Grand Theft Auto Online. We’ll see how it pans out. But don’t miss out on Red Dead Redemption II in the meantime. It easily measures up as one of this year’s best games. You can get it now for Xbox One and PlayStation 4, and read our review here.